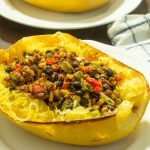 Have someone vegan, vegetarian, or someone with a lactose or egg allergy coming over for dinner? 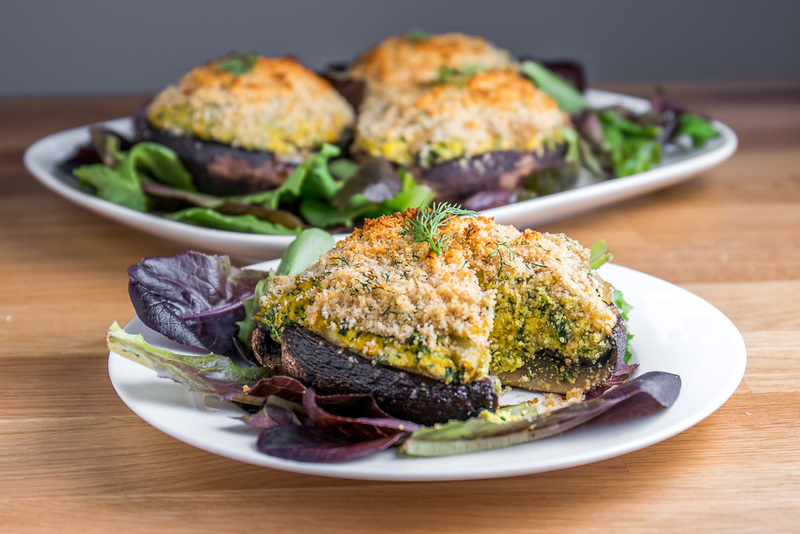 This simple vegan quiche stuffed portabelaa mushroom dish is surprisingly super easy to make! Don’t let the ingredients intimidate you, you can easily find nutritional yeast and tamari at the bulk food or health food store, and black salt (aka kala namak, easily found in the International aisle among the Indian spices) gives this dish an eggy flavour. You can omit black salt and use sea salt or Himalayan salt in its place without a problem! The black salt just brings the eggy flavour to a whole new level with this tofu-based quiche that’s enhanced with the meaty, tender, juiciness of these baked portabella mushrooms. 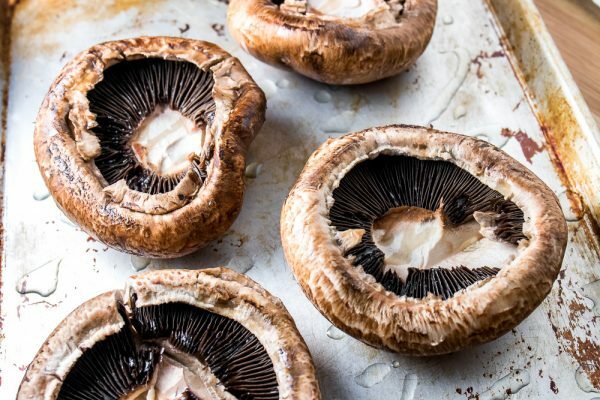 Clean portabella mushrooms with a mushroom brush or by cleaning gently under some running cool water. Pat dry and lay on a baking sheet gill side up. 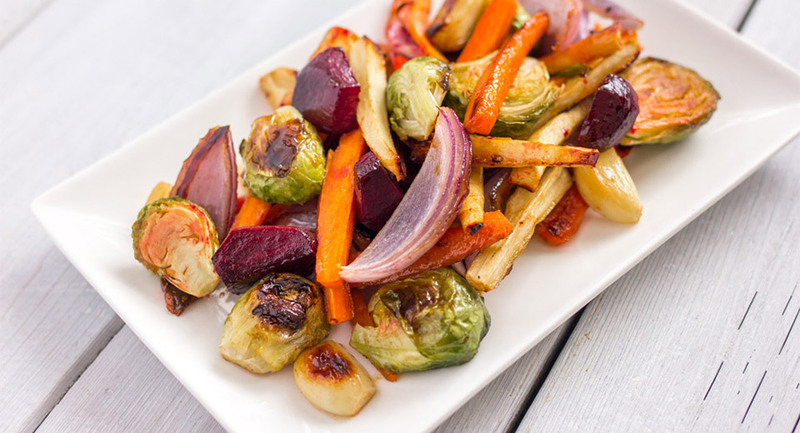 Drizzle about 2 tbsp grapeseed oil and bake for 10-12 minutes until they look juicy. Remove from oven and drain any excess liquid. Set aside. In a large pan, cook onion in 2 tbsp of oil until translucent. Add spinach and cook until wilted. Set aside. In a food processor, blitz tofu, turmeric, garlic powder, black salt, nutritional yeast, tamari, water, and soy milk until mixture homogenous. It will start to look like a quiche mixture. Add in the spinach/onion mixture and 2 tbsp of chopped dill and stir in to incorporate. 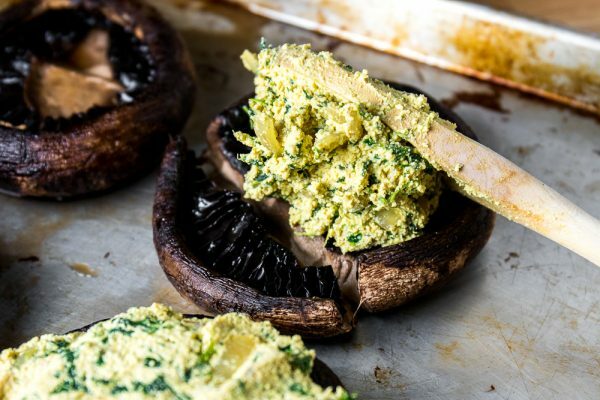 Stuff baked mushrooms with the mixture (you may have a little left over but it’s great on toast!). In a small bowl, make the breadcrumb topping by combining 1 tbsp chopped dill, 1 tbsp melted butter, and 1/3 cup breadcrumbs and mix until incorporated. 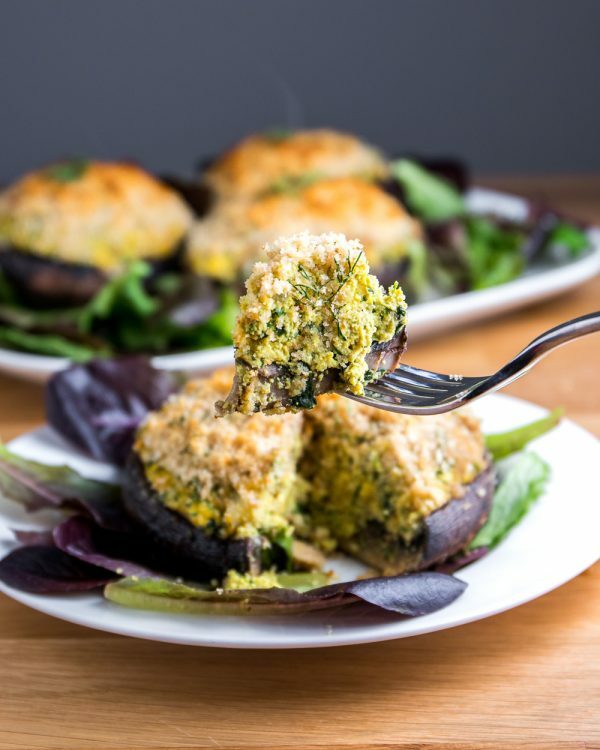 Press into the tops of the stuffed mushroom quiches and bake for 10-12 minutes until crumb topping is browned and tofu is heated through. 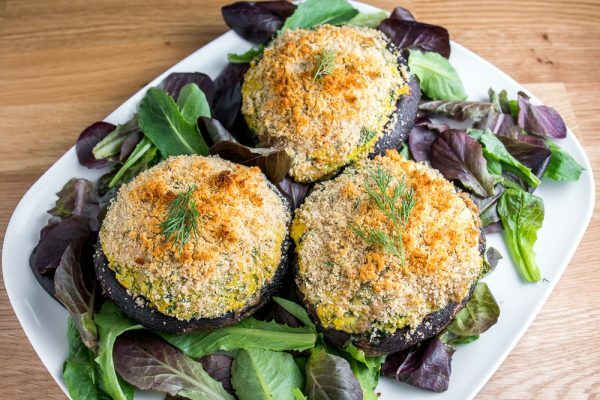 Serve immediately on a bed of greens! Enjoy! 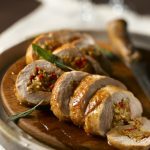 This recipe was developed by Lisa Le, the Toronto-based vegan food blogger and YouTuber behind The Viet Vegan. 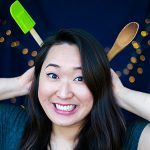 She blogs about food with stories about Vietnamese culture, nerdism, feminism, and her life sprinkled in on top.